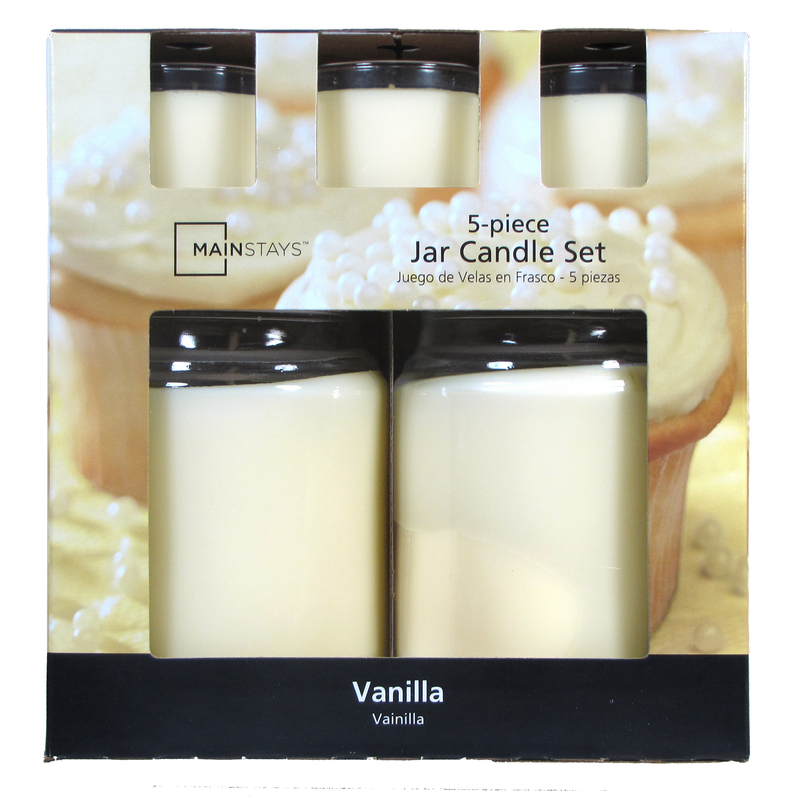 The Mainstays Value Pack Jar Candle Vanilla is a comforting combination of creamy, rich vanilla and sweet musk. Mainstays candles provide you with the highest quality, best value candles for fragrance and home decor. With exceptional year around color and fragrance combinations, Mainstays candles invite family and friends to gather and relax together. For less smoke longer scent, keep the wicks trimmed. Home territory searches the web to find the best prices and availability on Candles and related products foir your home like Mainstays 5 Pc Candle Jar Set Vanilla. For this page, related items include products we find that match the following keywords: "Candle" at our vendor partner Walmart - Click More Info / Buy Now to check for price rollbacks!. Mainstays 5 Pc Candle Jar Set Vanilla is one of 125 Candles and related products available for sale through HomeTerritory.com, If you have any questions on this product, please give us a call at 734-971-1210 during the hours of 9am - 5pm EST for assistance. Thank you for shopping at Home Territory, the home furnishings superstore!